I know that many people hate the treadmill. People call it the dreadmill. I love mine. Here is how I came to love a piece of machinery that many people despise…. You might remember that earlier this year I was moaning about my sore back. Then we had some terrible weather. Well, dear readers, it has basically been non stop raining here. When I say that, I mean it. Almost every day we have had rain, some days heavier than others. Record breaking rain some would say. My sore back took its sweet time to get back to normal too. I was diligent with my exercises, but to be honest, the rain was a great excuse for me to delay training for my half marathon later this year. So I sat on my arse, and did nothing. The thought came to me. “What I need is a treadmill.” This thought would not go away. So I started looking on Ebay. And I found one. 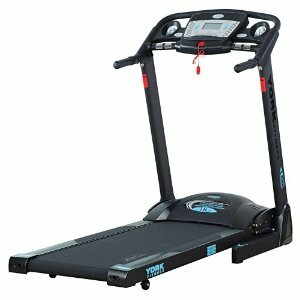 Last Sunday, I picked up my treadmill after parting with a measly $220. The guy we bought it from forgot to give me the power cord so it wasn’t till Thursday this week that I took it for a spin. OMG, this thing is amazing. I have been running so much faster than on the ground, which is to be expected. But it is making me work so much harder, and I am loving it. Today I got out a quick 2.5km before breakfast with the intention of cranking up my speed. At one point I was running at 9km an hour, which for me was FAST! My heart was racing, sweat pouring off me and I felt invincible. The best part of running on this is the reduction of impact. After a big hiatus, two runs on the road would have me sore and tender, but apart from the usual running niggles, there is no pain. Not in my shins, or my back. Which makes me confident that I can get some more kms in my week than I can on the road. Wow, I am so much happier now that I am running again. All hail the treadmill. Well, this is embarrassing. A rookie mistake was made today. My natural tendencies when things are going well is to go harder/do more/be better. Basically, I tend to charge headfirst into things and suffer. You may recall my elation in smashing 20 mins of non stop running two days ago. Well, today I thought to myself, ‘If you can do 20, you can so do 30′. I know, I know, increase by 10% at a time….Who in their right mind would attempt a 50% increase??????? A crazy person, that’s who. Me. I alternated through the next agonising ten minutes with running and walking, more walking and then my bf called! Joy and relief filled my body. I felt like I’d been given a ‘get out of jail free’ card. I took the call and walked the rest of the way back to our starting point where husband was waiting patiently for me. Before my miracle 20 min run, I drank about 750mls water, this morning a mere gulp whilst swanning confidently out the door. Drink more before the run. Its a tad ambitious to go for 30 when I just completed 20. Slow down sister, small increments will get me there faster than big leaps. I really really need to stretch my calves more, yesterday I did them only once. This is the first time I have had to ice my legs after a run in ages. Boo. Change my water bottle so the water does not taste platicy and manky. I bought a special body wash a few weeks ago that I promised I would only use when I went for a run. I felt guilty using it this morning…..
– Strava app – Best.Mind.Worm.Ever…..
Are they going for their PB? Who holds the best time for this segment? Its a wicked worm indeed. I didn’t have the app this am when I went on my run. The mind worm was working overtime as I was out and about, lots of people on bikes that were going for it…..hmmmmm! I skipped a few sessions of the Run5k app as I was up to week 7 when the shin splints took hold and stopped me running. The orthotics are perfect. Thanks Podiatrist 🙂 His recommendation of stretching out my calves has made a significant improvement to my running as well. I feel like my legs aren’t shuffling anymore, which makes me feel like I am running stronger and harder. The run I did today was Run 5 mins, Walk 2 Mins, Run 8 mins, Walk 2 Mins, Run 2 Mins. The 8 min part felt fantastic, I felt like I could have kept going for ages more. I plan to keep upping the time and once I reach my goal of running continuously for 5km, I will be getting Strava app and going for it! Can’t even wait!